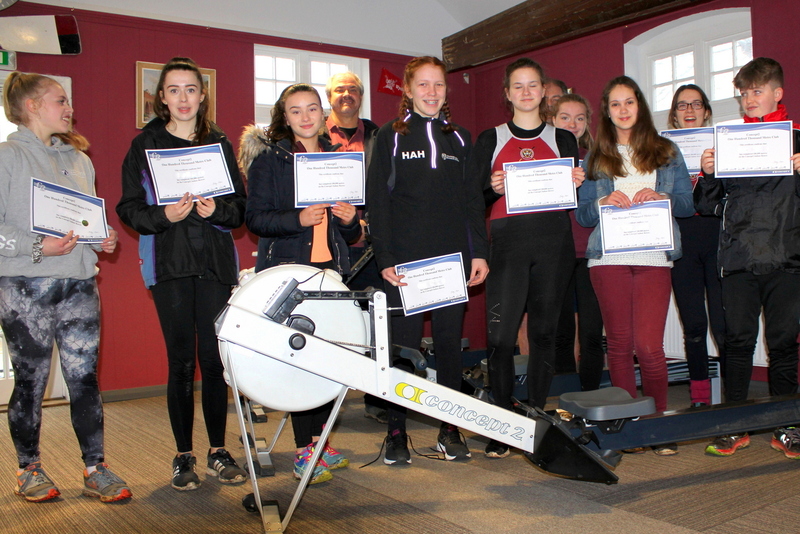 Indoor training for Stratford Boat Club’s J14 squad reached a milestone with the presentation of Concept 2 100,000m Distance Awards. During the winter months, the squad’s indoor training on the club’s Concept 2 ergometers (indoor rowing machines)increases as weekday land training complements the weekend water-based activities. 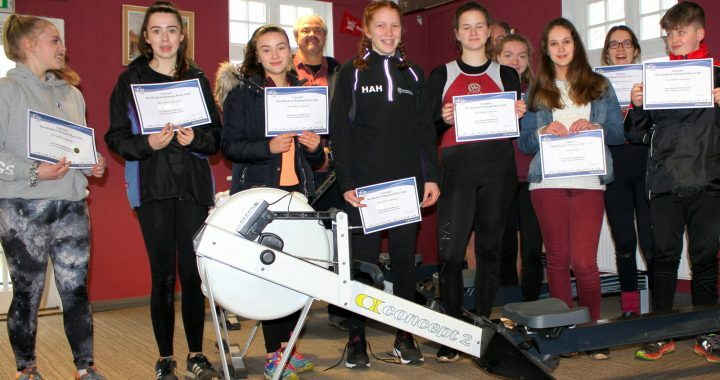 In the last six months, squad members have individually rowed in excess of 100,000m and the Distance Awards acknowledge the training they have undertaken. 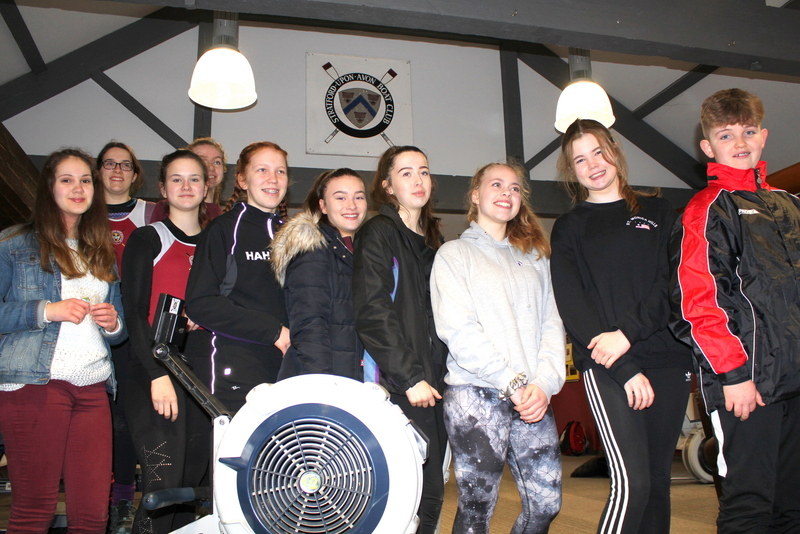 In addition to club training, the squad has successfully raced at events such as the British Rowing Indoor Championships at the Olympic velodrome and most recently the South of England Indoor Rowing Championships in Abingdon.